Item # 308840 Stash Points: 4,495 (?) This is the number of points you get in The Zumiez Stash for purchasing this item. Stash points are redeemable for exclusive rewards only available to Zumiez Stash members. To redeem your points check out the rewards catalog on thestash.zumiez.com. 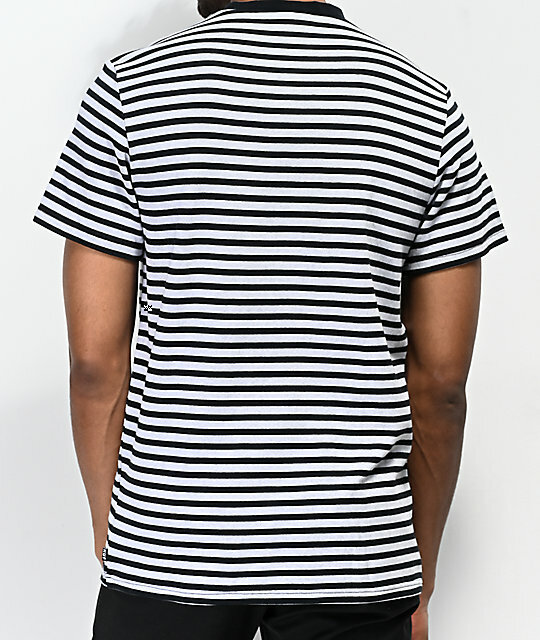 Bold and clean cut with a two-toned colorway, HUF presents their Black and Grey Striped T-Shirt. 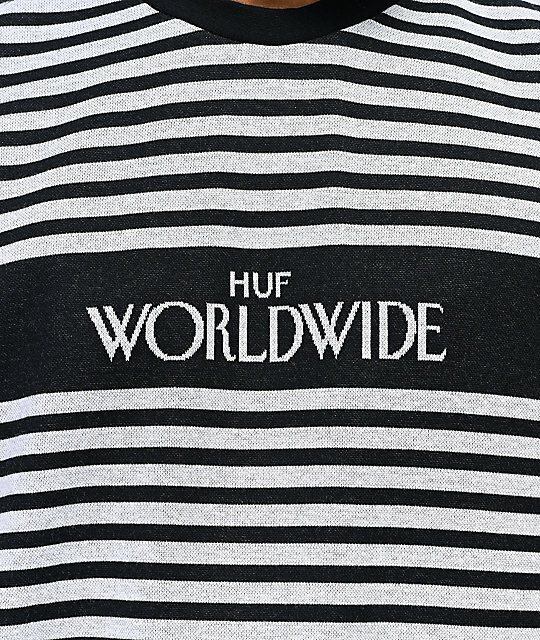 Featured with HUF's signature "Worldwide" logo script across the chest, this cotton constructed garment is an easy way to show your support for the iconic streetwear brand. 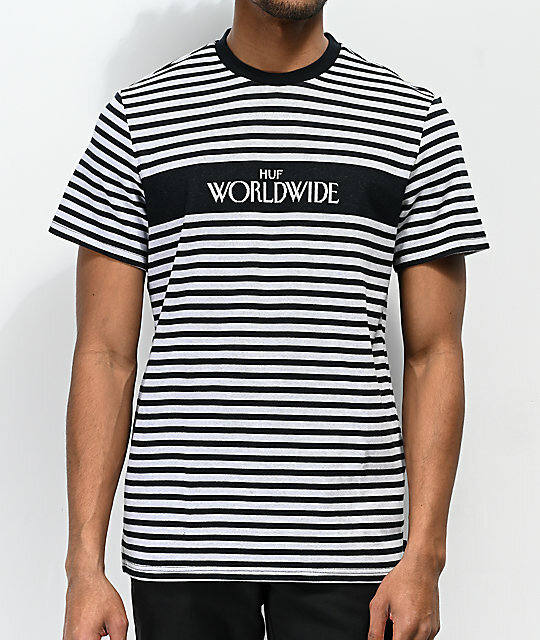 Archive Black and Grey Striped T-Shirt from HUF. Woven knit black and grey striped construction. Knit logo script on chest.